We were expecting a lull in new-bike-news between Intermot and EICMA but apparently we were wrong. 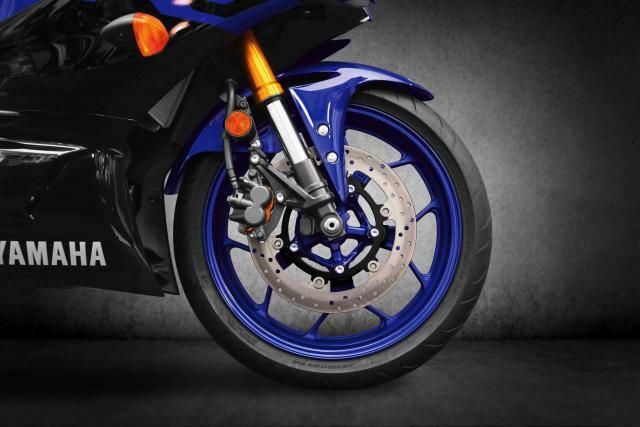 Yamaha has just released details on its new R3, just a week after the YZF-R125 was updated. This update follows three themes: looks, performance and ergonomics. 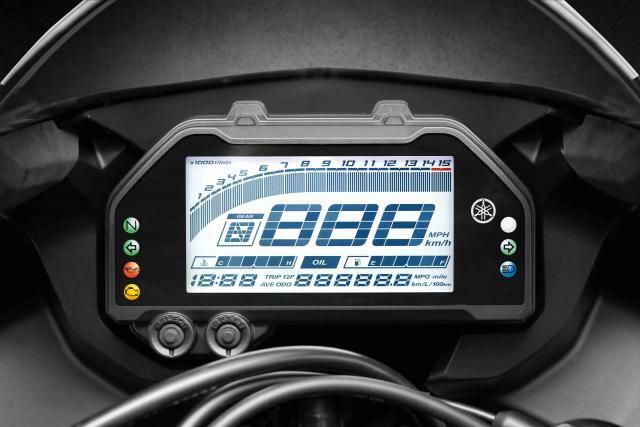 Those of you familiar with Yamaha’s R1 will notice that the front-end of the R3 now looks R1-esque, which itself is derived from the looks of Yamaha’s M1 MotoGP machine. All three in the R series (R1, R3, R6, R125) now all look related with a central air intake. 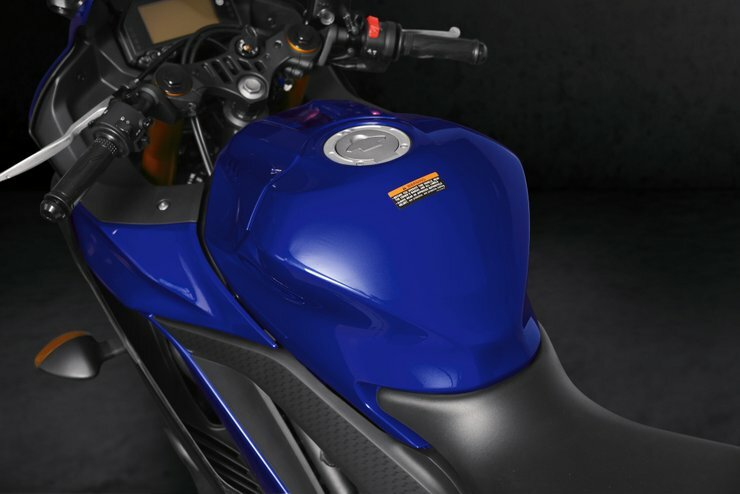 But don’t be fooled by its… unlike on the R1 and R6, it channels air into the radiator rather than into the airbox. The fairing now wraps the entire belly of the bike rather than leaving much of the engine on display, and the re-profiled tank (whose 14L capacity remains unchanged) now has ‘gills’ exactly as the M1 bike does. The R125 gained upside down forks for 2019, and so does the R3. There’s a new triple clamp to hold them, and the forks themselves are 37mm Kayaba units. Yamaha says that these new forks will give a sporty, but still comfortable feel. The new tank is 20mm lower and 31mm wider, and in combination with 22mm lower bars, riders can tuck in more. 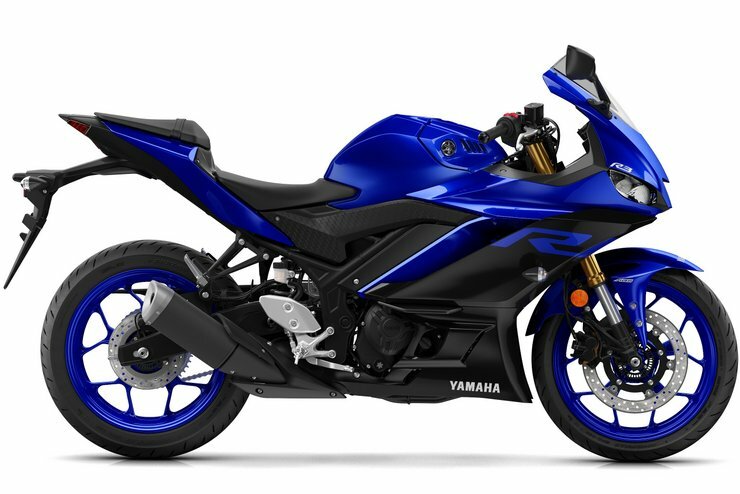 Yamaha claims this’ll reduce drag by up to 7%, adding 5MPH to the top speed over the old model. The seat remains low and accessible (780mm) and the bike featherweight, at 167kg wet. Dual LED headlights and indicators, as well as a brand new LCD dashboard completes the new look. Frame, wheels, engine and swing-arm are all completely unchanged. We can expect to see the R3 at EICMA, and no doubt also at Motorcycle Live in Birmingham. It’ll be in showrooms as of March 2019.